Reuben Award Nomination; Stripped; New Disruptors! A few news items from the spring! It’s a great honor to announce that my online graphic novel Family Man has been nominated for a Reuben Award in the Online Comics – Long Form category. This is an especial pleasure since it was just this past winter that I was able to attend the extended NCS conference opening the new Billy Ireland library and museum at Ohio State University. I met dozens of incredibly talented, deeply experienced, and extremely generous NCS members, many of them responsible for the comic strips that inspired me in the first place. This gives the nomination added impact, and I’m so touched. Family Man is a long, slow burn of a passion project, and this is a wonderful boost of validation. 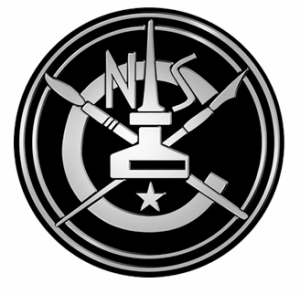 Thank you to the nominating committee for considering me; and, if you’re a voting member of NCS…give the comic a read! Winners will be announced in May. I’m in some great company! My dear friends Dave Kellett and Fred Schroeder have labored for years to create this wonderful documentary. They interviewed dozens of cartoonists about their work and their perspective on an industry that’s in the midst of some radical change, and assembled images from more than a hundred years of North American comics history. They not only interviewed li’l guppies like myself – they also nabbed luminaries like Bill Watterson and Jim Davis. The movie is now available through iTunes, Google Play, VHX.tv, and for sale on DVD. You can also download individual full-length interviews from over 16 creators. I can’t recommend it enough. I’ve been a fan of journalist Glenn Fleishman’s work at the Magazine (where I’ve provided illustrations) and his podcast The New Disruptors. TND focuses on in-depth interviews with people working independently in creative industries and new media. The archives are a blessed hit-list of great folks answering smart questions (including Dave and Fred in the previous episode, talking about Stripped! ), so it was a delight to be included on his guest list. Give us a listen!